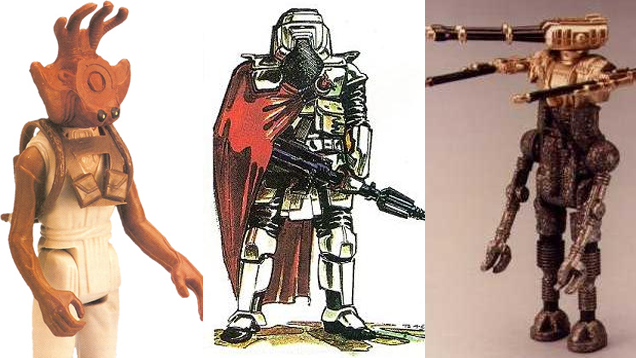 Even Star wars has had items that were in the prototype stage but never got made. So when people say everything Star Wars is out there, that's not always true. In the early days of the toy line there were several items that never made it into stores for various reasons. Take a look at some of these items and why they never saw release in stores! 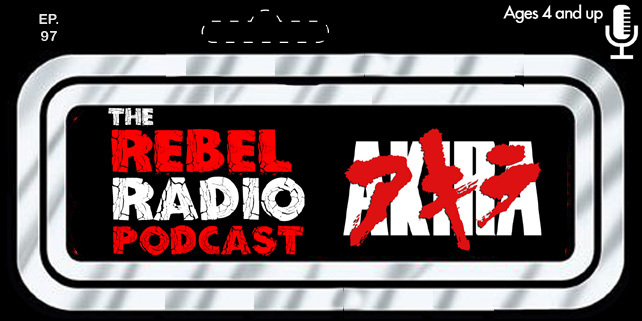 They include the mythical rocket-firing Boba Fett, the Wookie family action figures, and a few more things you may have never heard of! Rocket-Firing Boba Fett - The rocket-firing Boba Fett has become an item of legend throughout the years. It was advertised on Kenner toys and you could even mail away for one at one point, but it was never released in this form! 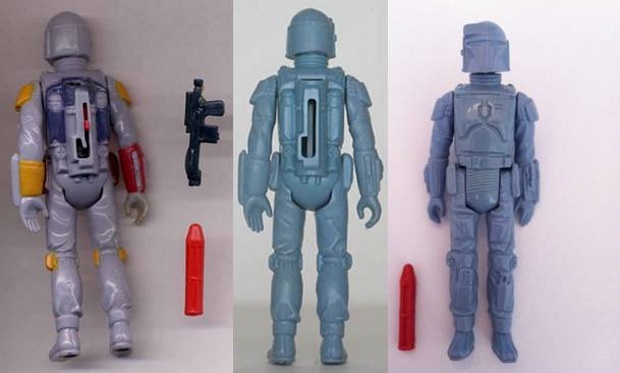 They decided that the small rocket was to dangerous for kids as a choking hazard so the popular bounty hunter was released without a firing rocket. 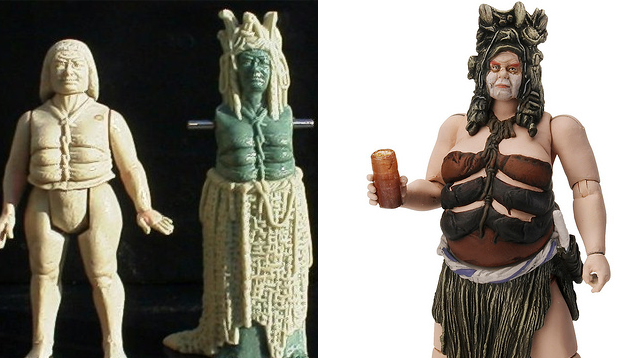 There are a few protoypes of this figure out there today but will cost you a small fortune to acquire! 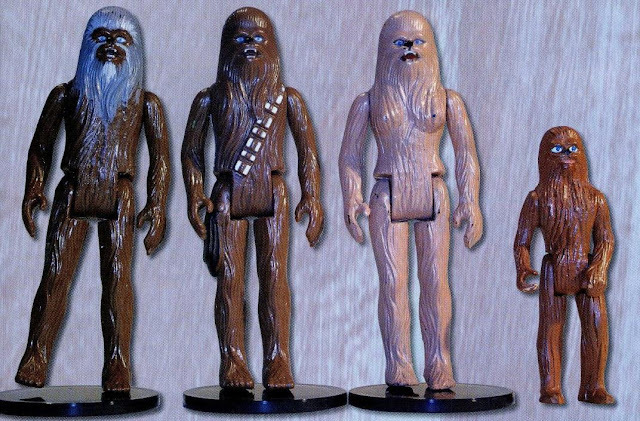 The Wookie Family - After the Star Wars holiday special aired in 1978, Kenner considered a line of toys featuring Chewbacca's family. The idea was ultimately scratched and the figures never made it past the protoype stage that you can see here. Star Wars: The Epic Continues - in 1986 as the Power Of The Force line was slowing down, Kenner pitched an idea to Lucasfilm titled "The Epic Continues". Lucasfilm nixed the idea very quickly and not much else is known about the project. A couple of protoypes and some concept art exist as you can see below but that's it. Gargan - This would have been an action figure based on the six breasted alien from Jabba's palace. The figure was scrapped most likely because it wasn't kid friendly being the alien character had six breast. She would get made eventually in the 1990's toy line as seen tot eh right in the image below but in 1983 this was to much Lucasfilm to allow to be released.